Ok, if you cannot read Chinese above, we are considerate to explain the steps and different situations to obtain a driving license in English! Before starting, you have to know about the following information first. - You cannot drive with an International Driver's Permit (IDP) in mainland China, nor with permits obtained in Hong Kong, Macao or Taiwan.- This article is based on the laws of the Beijing. The requirements may vary slightly depending on the city you apply in.- Written exams are offered in English or Chinese. In some of the main cities of the country, you may even find the exams in other languages (such as Spanish, French, German or Arabic). And in some cities, you may be authorized to bring a translator.
? According to a clause in a regulation issued by the Ministry of Public Security, if you have a driving license issued by your home country, you can apply for a temporary driving license and drive in China without having to take the related tests. The regulation, which deals with the management of automobiles and expatriates that come to China for a short stay, stipulates that the valid period of the temporary driving license should not exceed the period marked in the entry and exit certificates, and the temporary license can be valid for three months at most. The validity period cannot be extended. In addition, the temporary driving license should be used together with the driving license issued by your home country and you should always carry these two licenses with you. (You may be asked to present them at any time by the traffic police) in case traffic police ask you to show these licenses at any time. Although you have obtained your driving license at home and can get your temporary driving license in China without having to take the related tests, you need to attend lessons to study Chinese road safety regulations, before you can drive in China. You can only drive small cars or automatic-gear cars.
? If you will stay for a relatively long time in China, you can consider obtaining an official driving license in China. Get Chinese driver’s license with a driver’s license obtained from your home country. If you have a residence permit and a driver’s license from another country, you can get a Chinese driver’s license (valid for 6 years) just by passing a written exam. The procedures and the exam are done at the traffic police department (chē guǎn suǒ 车管所) in the city you live in and you may need a prior appointment. The exam consists of answering 100 multiple choice questions and lasts 45 minutes. You pass by scoring above 90%. If you fail, you can repeat it at that time, and if you don’t pass the second time, you have to wait at least 20 days to take it again. Passport and residence permit valid for at least three months(original and photocopy). 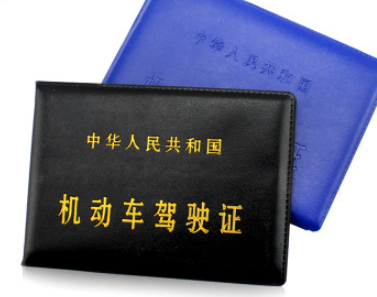 Certified and notarized translation of the driver’s license from the other country to Chinese (In many places, such as Beijing, you only need to provide a translation signed by a Chinese national and bring the copy of his/her ID card). If you are over 18 years of age, you have a temporary or permanent residence permit and you don’t have a driver’s license from another country, you can still get a driver’s license in China. To do this, you’ll have to pass four exams:- Written exam on laws and traffic regulations and basic concepts on vehicles (100 questions)- Parking and basic driving skills test on a track- Written exam on correct driving habits (50 questions)- Road testEach exam can be taken twice. If you fail, you’ll have to pay the fee again and wait at least 20 days. Passport and residence permit valid for at least 3 months (original and photocopy). Medical certificate (normally this can be obtained at the same place). Three to five one-inch color photos with a white background.With the information above, you are well prepared to get Chinese driver’s license now. Please enjoy your stay in China. As for incity (intra-city) transport, it is often better to use public transportations such as bus, subway or cheap ubiquitous taxi, which are well developed in many main cities of China. For travelling between cities, there are trains, planes, inter-city buses, and especially the excellent high-speed railway system which is among the bests in the world. Qihang Translation Company was officially registered with the Administration for Industry & Commerce as a professional translation company. Situated in Quanzhou of Fujian Province, we are a strategic partner of Microsoft and more than 2 hundred notary public offices for certificates translation. 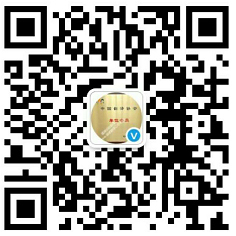 If you want to Get a Chinese Driver's License, please contact us.